The Lok Satta Party today released the first list of candidates who will contest the Greater Hyderabad Municipal Corporation (GHMC) elections scheduled to be held soon. Announcing the list for 35 seats party leaders Katari Srinivasa Rao, V. Laxman Balaji and G. Raja Reddy said the list does not feature sons and daughters of Lok Satta Party leaders. All those who have been chosen are dedicated party workers who have come up in life on their own. Some others who are keen on improving the living conditions in the city also have been chosen. 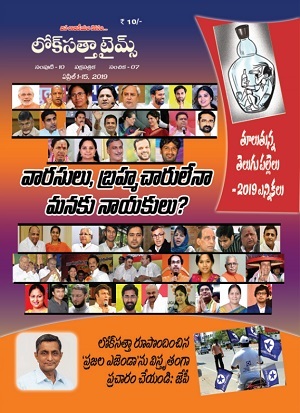 The party is fielding BC and SC candidates in six general seats (BCs in Vidyanagar, P & T Colony, Azampura, Saidabad and Suraram Colony and SC in Balkampet). 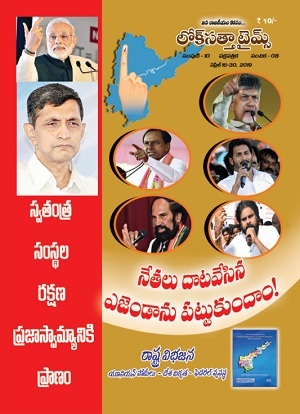 The Lok Satta will contest the GHMC elections with the agenda of forming division-level governments. Its promises include grant of Rs.2 crore to Rs.5 crore to each division depending on its population, improvement in traffic and security in colonies, and time-bound redressal of people’s problems.